I love weddings, but I REALLY love the splendor of a bride in her dress. In my mind, the dress sets the tone for everything. It's a direct reflection of a bride's personal style and for this special moment she gets to create a vision, an emotion, a radiance that is uniquely her own. Curvy Rose was inspired by my own experience shopping for a wedding dress 10 years ago. I was stuffed into gowns that were way too small and asked to imagine how I would look. When there was no way for me to get into a dress, I was told to slip my head into the dress hanger and imagine the gown that way as I watched smaller woman try on various styles, textures and shapes. I tried not to cry as a large chunk of my backside was hanging out from a dress the consultant was certain would work. This scene played out time after time in all the bridal boutiques I visited. It was 2008 and no one carried gowns in sizes larger than a bridal size 14, which fit like a size 10. Curvy Rose opened its doors in April 2016 in our parents home. After almost a year gathering inventory and weathering the fits and starts of building a business from scratch, it was time to meet our first bride. Chanza and I were so nervous. This crazy idea began with less than $1k in the bank, a lot of ingenuity and the style sense we inherited from our grandmother, Rosa. With only five dresses to show, would that be good enough? With our mom and my mother-in-law looking on, the doorbell rang promptly at 2pm. With a deep breath, Chanza and I opened the door. There stood Tavi and her sister. Our first bride. I greeted Tavi like I'd known her forever. She was radiant in a colorful cold-shoulder blouse. We quickly chatted about how excited we were to meet and welcome her to Curvy Rose. She shared that she had driven from a small town in Louisiana and it was her sister who had found us online. Finally their eyes landed on the few dresses that hung on the rack in my parents foyer. The moment of truth. Even if Tavi and her sister were disappointed, they were gracious enough not to show it. Chanza carefully showed them each gown and we began. If memory serves, Tavi tried on four dresses and fell in love with two of them. Watching her eyes light up with every gown, made our day. All of them were looked great on her, so it really came down to how she wanted to look on her special day. In the end, Tavi didn't say "Yes to the dress" that day. We were disappointed, but optimistic about how things went. Chanza and I knew that if we continued to provide great customer service, personal attention and beautiful dresses, Curvy Rose could help more curvy women find the dress of their dreams. By the next Saturday, we had moved our modest little rack into a one room suite in a bank building. It was far from a typical storefront. Our first store, a pop-up shop in a bank building that we set-up for every appointment. We continued to meet brides and their families in our tiny pop-up shop after business hours and on Saturdays confident that we were on the right track. Two months passed and no one said, "Yes." Then Tavi called and said to one of our dresses! We were elated. Two more months passed and more beautiful brides visited Curvy Rose. Most said we had gorgeous gowns, many were surprised by how great they looked. But in the end, only a couple said "Yes." Our first Curvy Rose bride, Tavi on her wedding day. By the end of the first summer, we had 15 dresses to show brides, but it seemed that number still wasn't enough. Doubt began to creep in. Every penny went into buying each dress we had on that rack. It felt like we were drowning and taking on more water in our sinking life raft. Call it grit or sheer craziness, we kept going, setting up for every appointment, smiling with every bride and committing to find her dress whether she chose us or not. Some took a chance and ALL were empowered to feel gorgeous on their wedding day. A stunning Curvy Rose bride and her BFF saying "Yes" to her dress! One of our gorgeous Curvy Rose brides picking up her Sophia Tolli dress. A gorgeous bride-to-be in one of our unique dresses. By the end of our first year our little shop was bursting at the seams. We had more than 30 dresses in our inventory. Moving to a larger space became a priority. So the search began for our first storefront. We investigated a lot of options and locations in other cities, but decided that Fayetteville, GA was the place for us. One of my DD's in our one room shop during our first year. If there's anything to take away from this story is that hard work and steadfast commitment are the tools that make dreams fly. If you want a bridal experience where you will be empowered to be your most radiant self, visit Curvy Rose. Just like the woman who helped me look gorgeous on my day, we will guide you through the process and honor your privacy while helping to create the vision, emotion and radiance that is uniquely your own. Our new storefront full of beautiful dresses for curvy brides! We hope that Curvy Rose visitors will experience the love and support I had in finding a dress, but more importantly I wish every person who walks through our doors a marriage filled with joy and a romance that will last forever. To book your appointment at Curvy Rose, give us a call at 678-884-3175 or click on the Appointment tab at the top of this page. 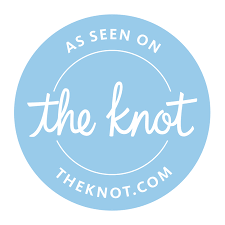 Get the bridal experience you deserve! A photo of me in my custom wedding dress in 2008. I worked with this wonderful woman who helped to bring my vision to life. It took a lot of trust, but it worked out great!